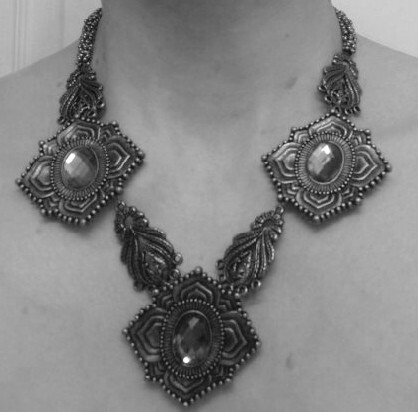 I recently saw a “How To” article in February’s Martha Stewart about making a necklace from vintage broaches….GORGEOUS!!! The concept is soooo simple and yet the result is so classically beautiful and very in style right now. Super cute over a white tee and jeans or since it’s STILL snowing here, a black turtleneck. I mentally have made a plan to build one of these necklaces ASAP…Can’t post the article at this point…I guess they want to sell magazines! Now I HAVE to have one!